Hello, I am Larissa from Car-d-elicious and today I am posting a card on my own blog, but also on the blog from Gerda Steiner designs. 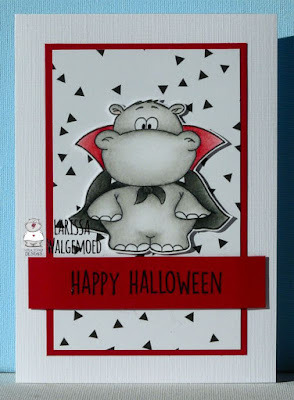 I have made a halloween card with the stampset Hippo in disguise from Gerda Steiner designs. 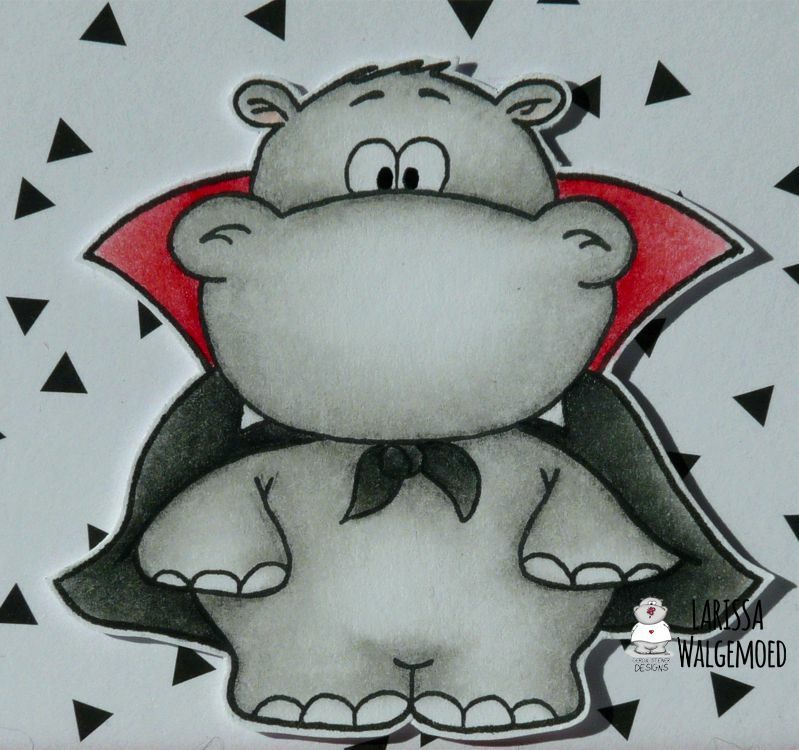 This is a really versatile stampset, because you can turn the hippo into a dracula, like I did today, but you can also turn him into a superman, like I did here. So this time I turned Hippo in disguise from Gerda Steiner designs into a dracula. I have coloured the hippo with my Polychromos pencils and the black glaze pen and then I have fissy cut the image. On a piece of red cardstock I glued a piece of deign paper from the Do what you love pretty paper bloc from Marianne design and then I glued it on a card. On a strip of red cardstock I stamped a sentiment from the set The wizard, the witch and the cauldron from Stamping Bella and then I embossed it with clear embossingpowder. I glued the strip with foamtape on the card and then I adhered the image also with foamtape on the card.